Gallery hours: Monday-Friday, 9:00 AM – 5:00 PM. Please note, the Emporium is closed on Friday, April 19, for the holiday. 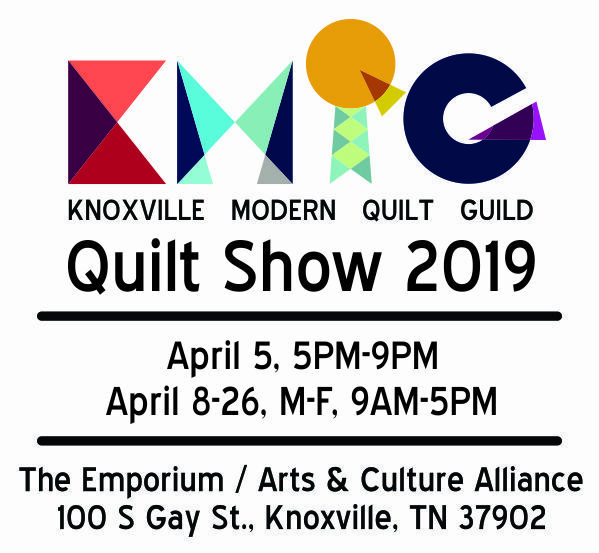 The Knoxville Modern Quilt Guild (KMQG) exists for residents of Knoxville and surrounding areas who have an interest in modern design and quilting. The guild’s mission is to provide a community where modern quilters can meet and share ideas while creating an environment that encourages creativity and acceptance. The KMQG was established in 2010 by Mary Beth Meadows as a member of the Modern Quilt Guild, which is made up of over 14,000 members in more than 200 guilds in 39 countries. 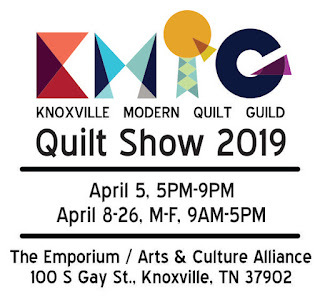 The exhibited quilts have all been made by Knoxville Modern Quilt Guild members using traditional means and featuring a modern aesthetic. We are located on the corner of Gay Street & Jackson Avenue in downtown Knoxville. We hope you will stop by for a self-guided visit! Admission is free, and exhibitions are generally appropriate for all ages. Parking information is available here.